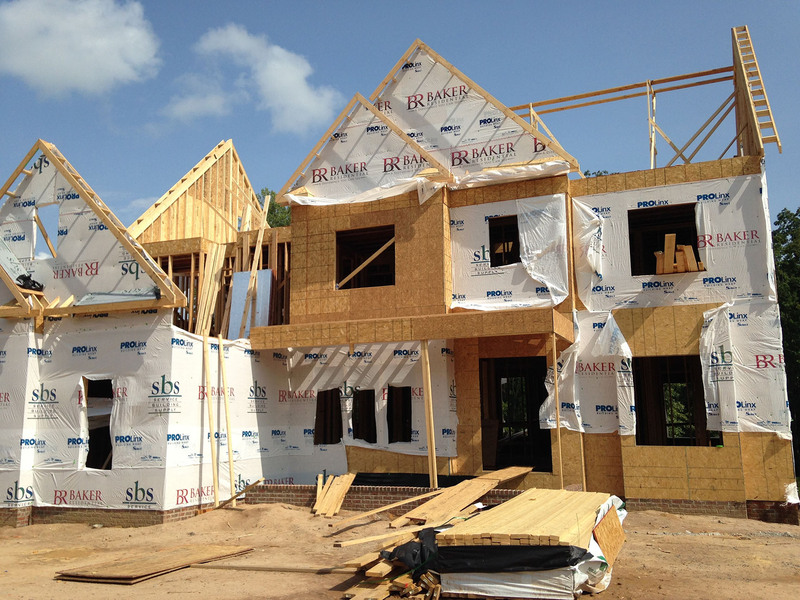 Housing starts can be simply predicted with information on the rate of overall economic growth, and such a prediction informs estimates of future softwood lumber consumption in the U.S.
Future forest conditions in the U.S. depend in part on timber harvest rates, which are a function of overall demand for wood in construction. For the 2020 RPA Assessment, we developed a simple yet highly accurate model of housing starts as a function of aggregate inflation-adjusted (real) economic growth, recent start activity, and mortgage delinquency rates, along with similarly simple models of softwood lumber demand models as a function of current starts and economic growth. Given alternative assumptions about future economic growth in the U.S., we can better understand how a range of possible economic growth rates will lead to a range of construction rates and softwood lumber consumption rates. At recently observed real economic growth rates of 2.4% per year, starts would average about 1.2 million per year, while growth of 3% would lead to starts averaging 1.3 million and growth of 0% would have starts at 0.9 million. Softwood lumber consumption would grow at about 0.5% per year if economic growth were at recently observed rates, increase at 1.3% per year if real economic growth were 3%, and would decline by 2.5% per year if real economic growth were zero. Given that sustained long-run economic growth is unlikely to exceed 3.5% and more likely to average less than 2% over the coming decades, softwood lumber consumption growth will average less than 0.5% per year. Next » Do roads drive forest plant invasions?